VIKERA TEQUILA embodies the story of Melly Barajas, owner and master distiller of Vinos y Licores Aztecs, which is 100% owned and operated by women. 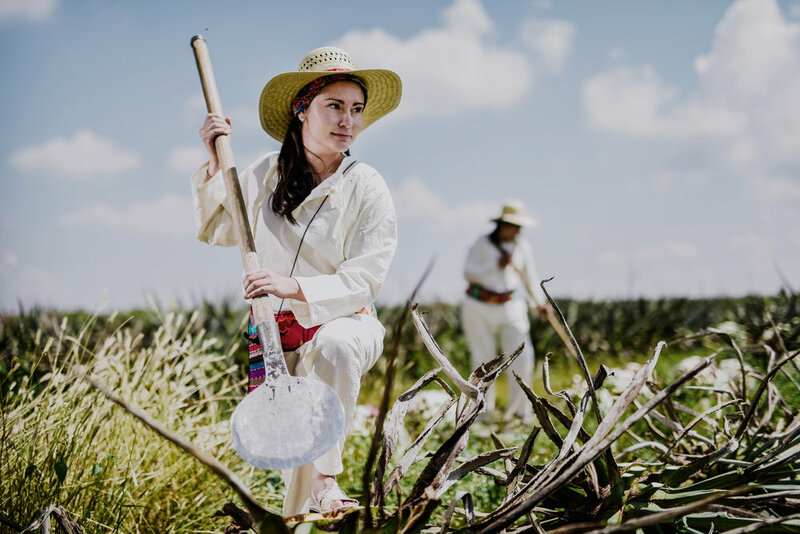 Melly has had the chance to make a difference by providing many women the opportunity to maintain a steady career in the art of crafting the finest 100% blue agave Tequila in Mexico. Her ability to empower these women has earned her the name “Doña Melly” due to the impact she has made on many lives in her community. In the spirit of their hard work and dedication to the craft, Vikera Tequila is named after Melly and her Lady Vikings or "Vikeras". In order to help Melly continue to change lives, proceeds generated from each bottle of Vikera Tequila sold will be used to provide education and opportunities for the people of Valle de Guadalupe, Mexico. Vikera offers extraordinarily smooth and complex Tequila because of the unique oxygenated process, longer barrel aging and earthy notes that come from the highlands region of Tequila. Our four varietals provide a distinct experience depending on your occasion and your tastes and are meant to be savored the same way you would savor a beautiful glass of wine. Team Vikera's goal is to help support the inspiring women who run the distillery in Mexico and their community who support them every day. With this in mind, proceeds generated from each bottle of VIKERA TEQUILA sold will be used to provide education and opportunities for the people of Valle de Guadalupe. Above all, Vikera believes in giving back and helping others follow their passion and dreams. The myth of the agave plant is inspired by a goddess and a beautiful love story. This is very relevant as Vikera's beginnings are also inspired by female heroines. Descending from a long tradition of mythic properties and lore, the agave plant has given life to many tequilas before VIKERA, but in harnessing the energy and power of an all-female distillery, the gods and goddesses would approve of these brave and hard working women's fresh and vibrant take on an old tradition. Garvey Wholesale Beverage is a carrier of Vikera Tequila. Visit our store or order online to stock up on Vikera.